The empire of integrity and goodness is always built up on a sturdy foundation. 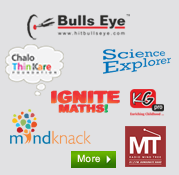 Founders of Mind Tree Schools started their journey in the field of education in 1998 with the inception of Bulls eye in Chandigarh (An Institute devoted to the field of competitive Education specially CAT & MBA). Mind tree School, Ambala City foundation was laid in year 2006, with the sole aim of spreading education and building strong foundation for our young ones. It is an institution backed by a vast experience of almost two decades in educational administration and our admiration for the task of edification. 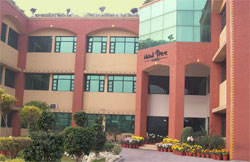 It is an English medium progressive co-educational school affiliated to CBSE. It is a perfect place to develop the heart, mind and soul of a child. We, at Mind Tree, look at children as individuals and not as a class. We understand the need to groom and nourish each child independently, for all are different. We believe in building an atmosphere where each child can explore and experience challenges to find his own strengths and proclivities. 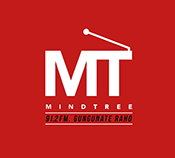 Mind Tree is an institution that looks beyond just imparting knowledge. It takes a holistic approach focusing on the overall development of the child by giving him an environment that nurtures and instills strong character, dignity, decency and respect for human life. We strongly believe in the concept of nurturing and enriching the mind as well as the soul. This is precisely why we lay such strong emphasis on looking beyond the set parameters of bookish education. Through involvement in activities like music, drama, sports, and adventure, we and support students to find their inner strength, develop a high self esteem and make them self actualized individuals, life demands not only a healthy and intelligent mind but also a healthy body. Out curriculum has been especially designed to make it inclusive, where physical, emotional and mental needs are really significant.